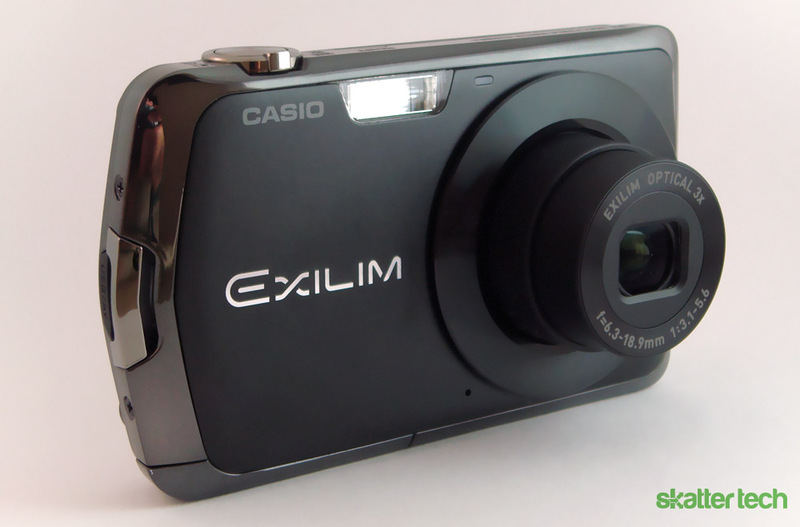 A few weeks ago we took at look at Exilim EX-Z35 point-and-shoot which sells for under $100. Casio’s PR team was also kind enough to lend us a Exilim EX-S7, which was announced at PMA 2010, for review. While this model isn’t professional grade by any means, it offers a few advantages over the Z35 model: a larger LCD display, 720p video, and more. Casio’s Exilim series of cameras are known for their automated features to simply photography for the average consumer. Casio’s compact and lightweight design for the EX-S7 is clean, practical, and stylish for a point-and-shoot camera. Although almost entirely plastic, the camera feels robust. The charcoal grey design with silver borders offers a great contrast. It doesn’t look as bland or dull as the silver EX-Z35 either. One nuisance is the lack of a dedicated macro button, which is generally standard for most point-and-shoot cameras I’ve come across. A few other essentials, which should be easily accessible, require digging into the menu interface. I also found it an oddity that the camera shutter key was independent from the video record button. For instance, clicking the capture button when in “YouTube mode” brings up a warning. While this is more of a preference, the overall layout makes for an easy-to-use design. It’s fairly user-friendly, however it could definitely use some user interface improvements. As for the hardware, the Exilim S7 has a fairly common layout. The back sports the LCD screen with those previously-mentioned controls on the right. The power button, zoom controls, and shutter key are on top. The front face has a larger Exilim emblem and the 3x optical lens besides it. A speaker, tripod mount, and a slide out cover which reveals the battery pack and SD card slot are on the bottom. It’s light enough to slide into a pocket or store in a purse. While this camera isn’t bulletproof, it should last through a few years of use. The EX-S7 sports plenty of helpful features such as face detection which automatically focuses the lens to hone in on people. A best shot mode automatically makes a decision based of lighting and other situational factors for the necessary settings for a clear image. YouTube mode creates an optimized video for easy uploads and a eBay mode helps with product shots. There’s also a “dumbed-down” easy mode which locks up access to most settings and configuration options. While it’s not ideal for real photographers or even those willing to dig into the settings, it’s a great feature for technology inadequate persons such as grandparents or young children. It’s essentially foolproof in some regards. The inclusion of that feature should definitely be appealing to certain market segments as it lowers the learning curve and prevents accidental changes. From these features, one thing is clear: the EX-S7 is intended for inexperienced or first time digital camera users. However, Casio had some surprises in store. After finding my way through some menu settings, I found extra options such as ISO settings, exposure adjustments, manual focus, and even the ability to select an autofocus region. While these features try to emulate a DSLR camera, they aren’t comparable. However, with that in mind, it’s still a neat addition which shows that affordable cameras are becoming better with every iteration. As those first time users become more familiar with this camera, it’s easy for them to explore some “advance features” which will open the door into slightly more professional cameras. Although companies including Casio are pumping more and more pixels into sensors each year, it doesn’t necessarily equate to improved image quality. The image quality from 12.1 megapixel sensor, which captures images at a max resolution of 4000-by-3000 pixels, varies significantly on various conditions. For instance, bright outdoor conditions make for accurately exposed and noise free images. Colors are rich and focus is sharp too. Unfortunately, Casio’s technology in the EX-S7 suffers in low-light situations. The flash helps in some regards, however it still leads to loss of detail. It also often fails to focus properly in darker environments. I found image quality to be a slight step up from the EX-Z35, but not by much. At times, I felt image quality on my three-year old Sony CyberShot DSC-T100 was better. For the most part, at an affordable price point, it performed quite well. The turn around time for each capture was less than a half second. I did take issue, however, with a few items about the camera. The LCD monitor looked grainy when viewing photos in playback mode, and the USB port cover is frustratingly hard to dislodge. Getting the cover open so that I could stick the proprietary USB cable inside proved more difficult than necessary. In addition, once it is in the open position with the cable in place, the cover is so obviously strained that it doesn’t seem like it’ll survive the smallest of tears – likely if you see a slight tear, a clean break is sure to follow. I don’t approve of this aspect of the camera nor do I favor the proprietary cables. To be fair, though, I have yet to test the strength of the port cover against the rigors of everyday use. 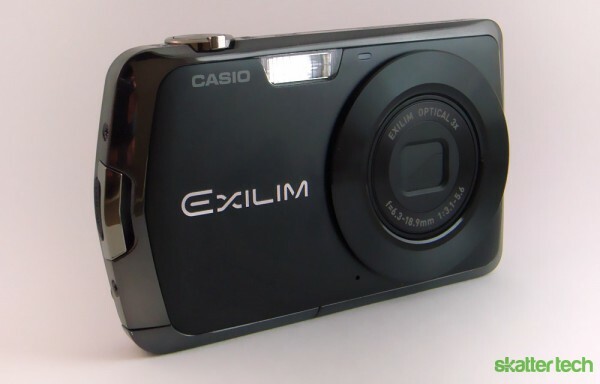 When it comes down to considering Casio’s Exilim EX-S7, the $139 price point is actually fairly reasonable. In fact, if you shop around, sites such as Amazon.com offer it for as low as $109. The camera offers fairly decent image quality for those making a step into amateur photography. The S7 is a major step up from just about any mobile phone’s camera. With support for 720p video resolutions and simple configuration modes, it makes a great sell. Teenagers and casual users will appreciate this camera. It’s also something users are more likely to carry around without worrying about it getting lost or stolen. Casio delivers a solid camera and plentiful features in the EX-S7. 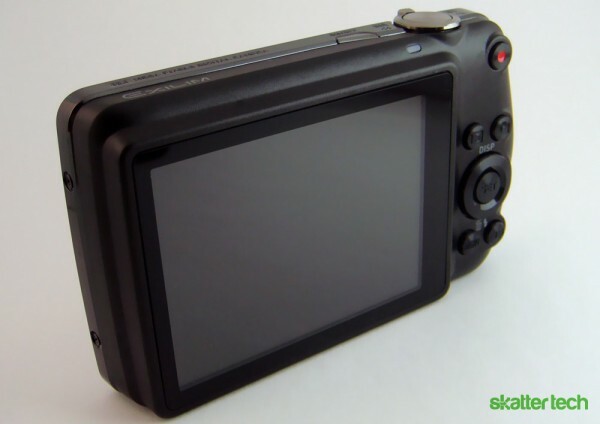 You need look no further for a camera that suits your needs and a limited budget. Editors Note: This article was partially contributed by Chaynor Hsiao, a temporary contributor.